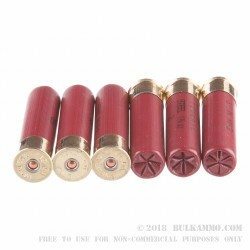 A round made by federal to completely eliminate the concerns that have been raised about longer distance steel shot shells and their lack of performance comparative to lead based rounds. 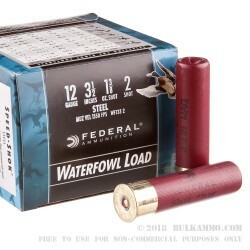 For those who have a 3 ½” chambered 12 gauge this is the ultimate round for general waterfowl use because it eliminates the issues that most hunters find when dealing with steel over lead. 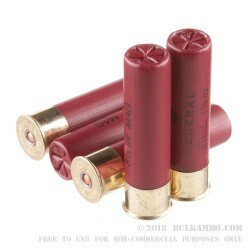 The resulting performance and clean ecology of the round means conservation wins, and hunters can too. Yes, it will kick when you shoot it, but your duck or goose count will go up accordingly. The larger #2 shot offers better hitting/striking power; the high velocity (1550 feet per second) gets you out further and faster in wind or other conditions and the significant payload of 1 3/8 ounces will ensure your patterning is on target for the maximum head count. 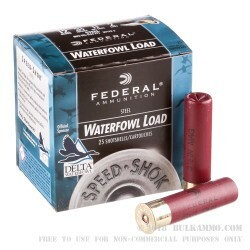 The reloadable and stoutly built shell casings offer a bit of cost savings through the reloadability and the ability for the round to seamlessly function in semi-autos and all other types of shotguns with a 3.5” chamber, makes this a great purchase for avid waterfowl enthusiasts.